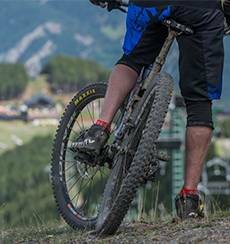 With more than 200 km of signposted routes, Andorra is the perfect destination for fans of mountain biking. Do you dare try its dizzying descents and leg-busting ascents? Numerous BTT trails throughout the entire country. Here we show you parish by parish with detailed information and geo-locations. 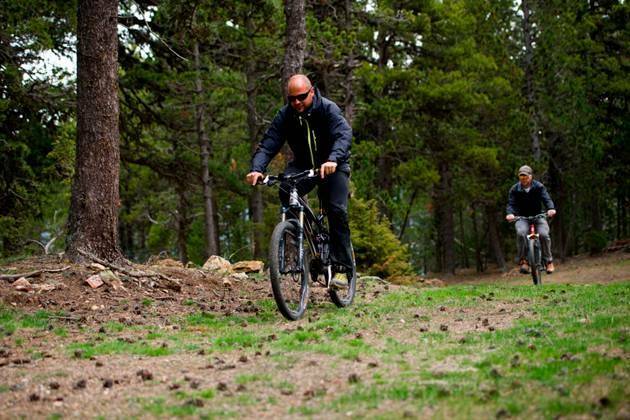 Let your mountain bike take you to the most hidden corners of Andorra! Regardless of your level, this parish welcomes you with its sign-posted paths and trails. Take note! This low parish "baja" allows you to enjoy BTT to the full. Here you have all of the proposals in detail! Circuits with free access, itineraries right up in the mountains, etc. This is one of the richest parishes for BTT. Discover it! Proposals for the world championship, for the whole family. Start or perfect your technique in this parish! Trails along the slopes of our mountains, off-season ski slopes, runway circuits and obstacles that will put you to the test. 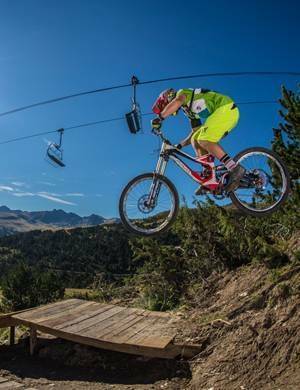 In Andorra you can unleash your passion for BTT! 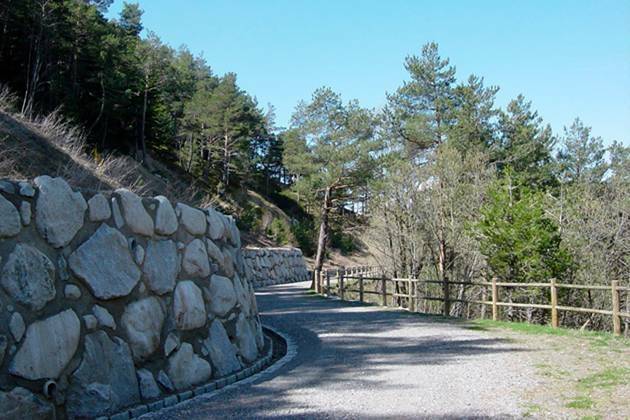 The Camí de les Pardines is an MTB route that is almost flat. This circuit has been used for the Mountain Bike World Cup and other competitions. This route is best described as difficult. 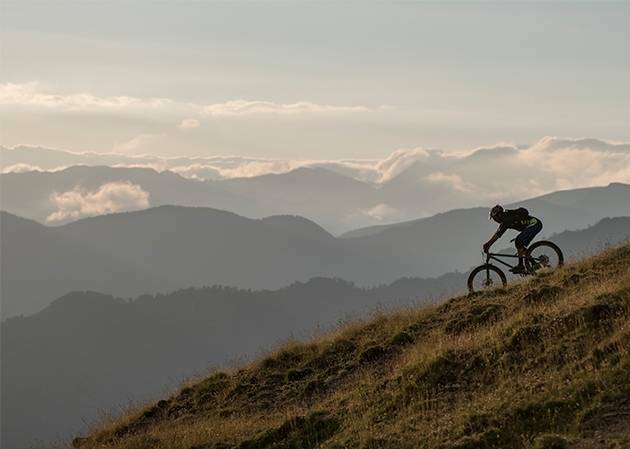 Accommodation with spaces, services and menus designed for those passionate about mountain biking. Book and feel the difference! Visit our establishment to find everything you need. You will find all of the essentials to enjoy cycling during your stay in the country. Discover what we have on offer for sale or rent. 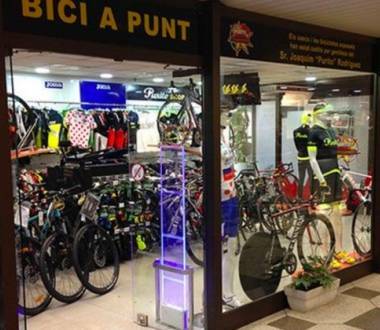 The Bici a Punt shop is found on the second floor of the shopping centre E.Leclerc Punt de Trobada, in the parish of Sant Julià de Lòria. 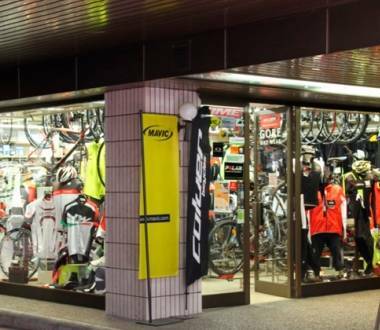 This establishment is in Escaldes-Engordany and specialises in cycling articles. 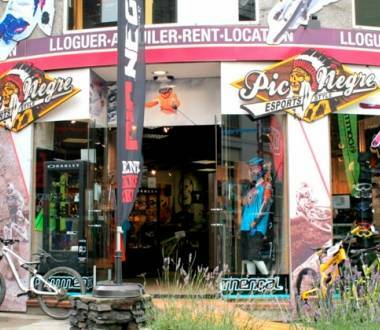 Esports Pic Negre 12 is in La Massana and specialises in the sale and rental of mountain bikes and skiing material. 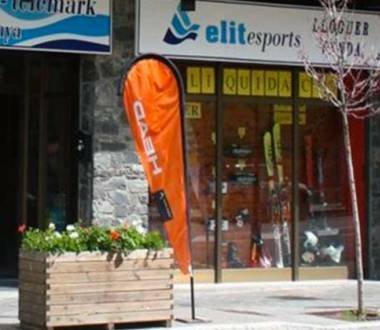 Esports Pic Negre 8 is in the village of Soldeu and specialises in the sale and rental of mountain bikes and skiing material. 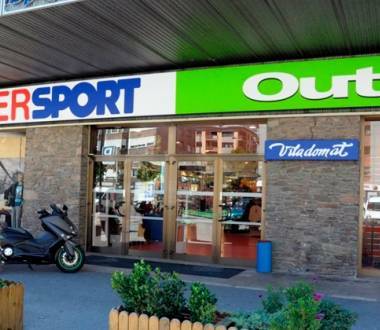 Intersport Outdoor stands on the straight in Santa Coloma and specialises in sports, adventure and leisure. If you’re passionate about sport, Viladomat Andorra is the store for you, with the best brands in everything you’re looking for. 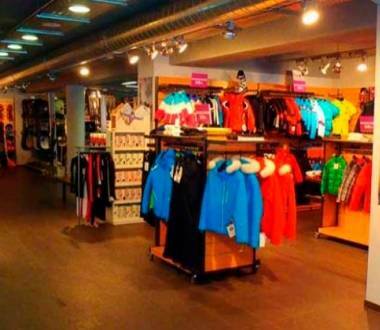 This shop is in la Massana and specialises in the sale and rental of sports material. Which do you enjoy the most? finishing a demanding set-out circuit or descending an extreme slope? Andorra is an all-year-round destination. When the summer heat is replaced by the winter cold, the Pyrenean country becomes the epicentre of BTT cycling. 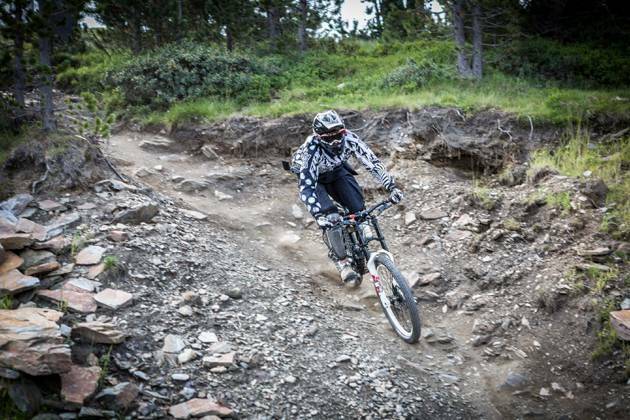 You will find no other place with our variety of downhills, circuits and slopes for extreme descents! All of this is complemented with establishments offering the best of services and products for cyclists in this discipline. Put your helmet on and start to enjoy your great pastime. Whatever your preference, in Andorra you will find the perfect location. We have it al! 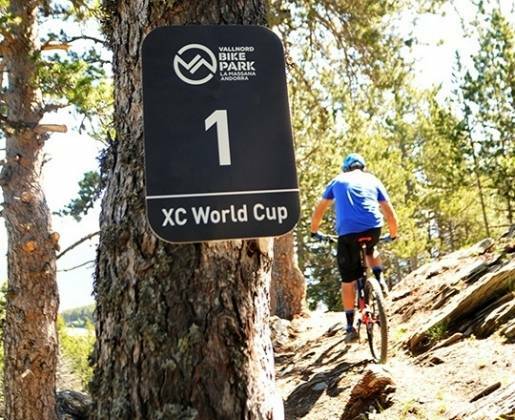 In fact, some of our circuits coincide with trails of the Mountain Bike World Cup, for which Vallnord Bike Park is a regular host. Here you will find a wood park with potholes, jumps, obstacles, etc. and also cross-country trails with marked and sign-posted tracks. If you are into extreme downhill, nothing beats the slopes offered by our country during the summer. At Vallnord you can enjoy the ski slopes when the ice melts, which become spectacular downhill drops, where speed and adrenaline will take your pulse to the limit. They are technical trails for all levels, where you can learn and perfect this discipline reserved for the most daring among us. In fact, children can begin this adventure sport in the capable hands of professionals who give classes adapted to their needs. 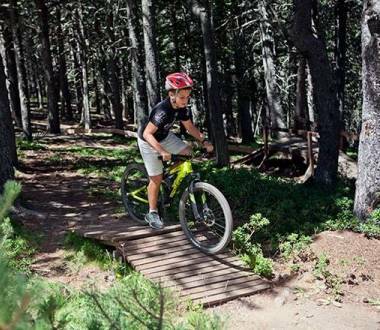 Many of these lessons are held on circuits designed for professionals in this discipline, like the children's Wood Park designed by Xavi Casas in Vallnord Bike Park. However, not all BTT practised in Andorra is in closed areas or perfectly outlined circuits. 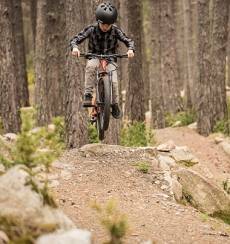 There are also trails through natural landscapes were you can cover kilometres of bumpy tracks, cross watercourses, circumvent natural obstacles and even throw your bike on your shoulder if the terrain is too steep. 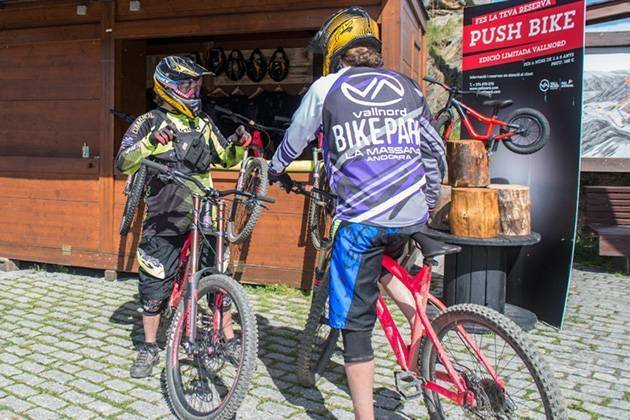 Also, luckily for our visitors, these BTT trails are spread throughout the whole of Andorra. For example, in Canillo, where some of the most spectacular trails are found passing through skiing sectors of Grandvalira ski resort. 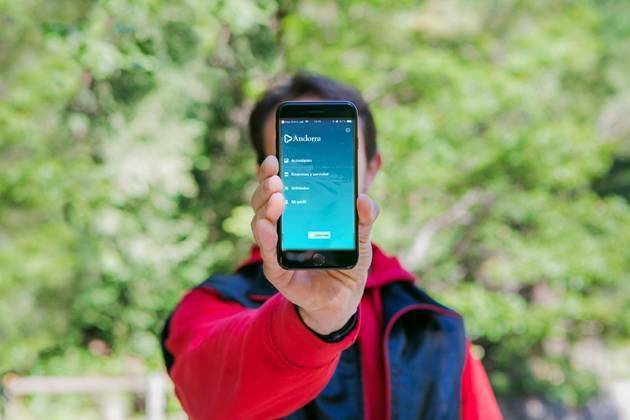 Encamp, offers the greatest variety of options, combining freely accessed circuits with itineraries integrated into the heart of the mountains: Engolasters, Els Cortals, etc. 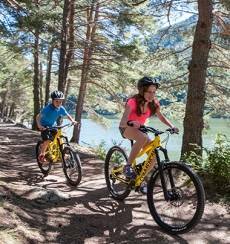 Surprisingly for many, the capital and its surrounding area offers interesting cycling trails: Andorra la Vella in general, offers shorter and easier options, but also very entertaining ones complemented with a rich recreational programme that gives you a nice break. Sant Julià de Lòria, one of the lower parishes or "bajas", has no reason to envy its higher sisters "altas", as it has its own spectacular trails, such as the area of La Rabassa. 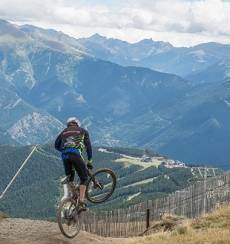 At La Massana you will find probably the most technical trails in the entire country, as its options run through the aforementioned Vallnord Bike Park. Ordino and Escaldes-Engordany, although they have very different profiles, also have downhills and slopes that you can conquer in the saddle. Such a spectacular backdrop for this sport is the claim-to-fame for event organisers, who choose our country to host events and competitions of all levels. The summer and first weeks of autumn is the best time for this, as we can see from some common examples on our calendar: the Gran Fondo and the Bike Race being the most significant. These are trials with different routes depending on the level, and usually offering additional services for participants and companions. If what you need are establishments where you can by products or receive services specialising in this sport, you will find them dotted throughout the different parishes. 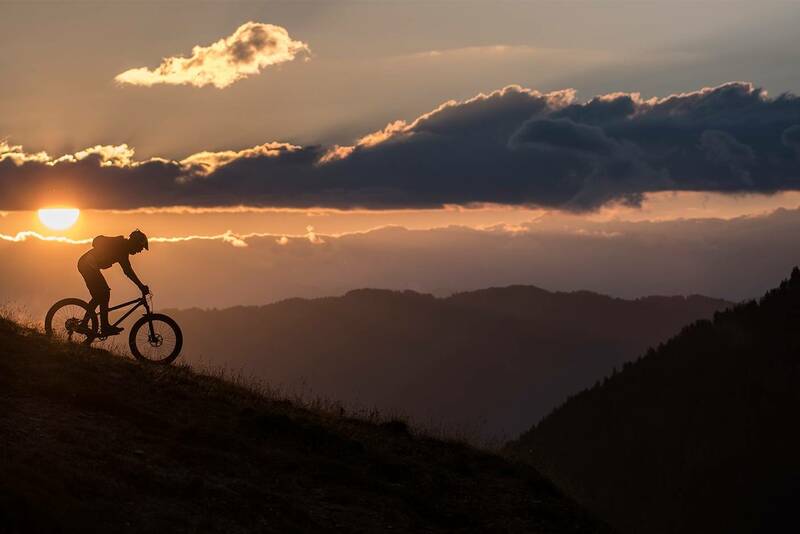 For example, mountain bike rental shops are interesting if you want to leave yours at home or try new models of different brands with advanced performance: suspension, gear development, handlebar design, etc. Repair shops will provide you with the logistics support you need during your stay in our country: from small adjustments to significant repairs. 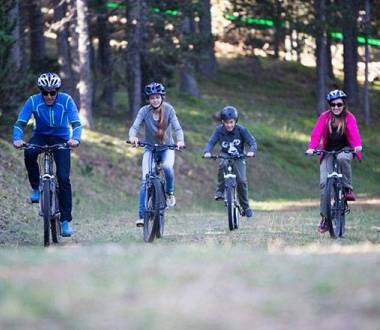 One of Andorra's hallmarks is the network of hotels categorised as "for cyclists", as they have spaces and services specially intended for travellers like you. We've thought of everything so you can enjoy to the fullest!